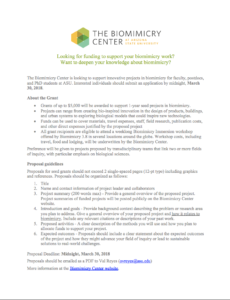 Apply for the Biomimicry Center’s seed grants — up to $5,000 in seed funding to support one-year projects related to the field of biomimicry. Funds can cover materials, travel expenses, publication costs and other justified project expenses. 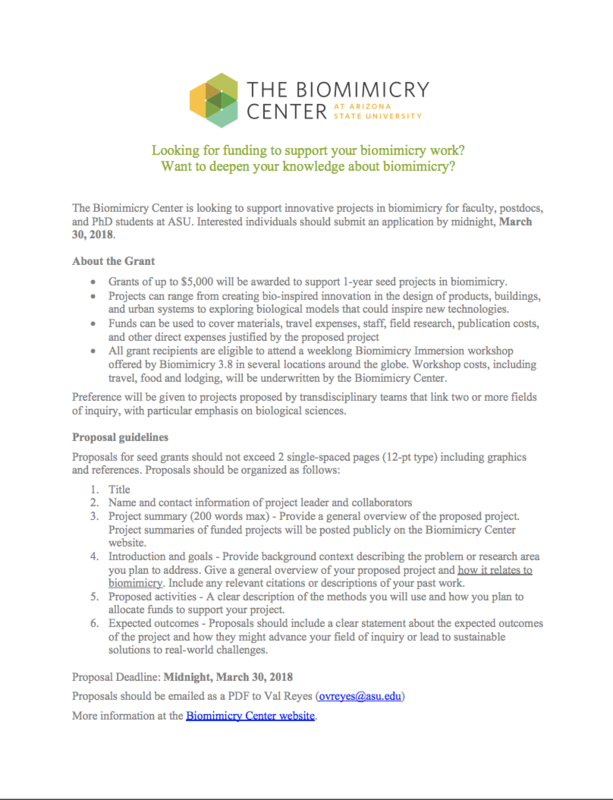 Additionally, you will be eligible to attend a weeklong Biomimicry Immersion workshop at several locations around the globe. Proposals for these grants should not exceed two single-spaced pages, including graphics and references. It must include contact information, project summaries, project goals, proposed activities and expected outcomes. Find more information about the requirements on their website. 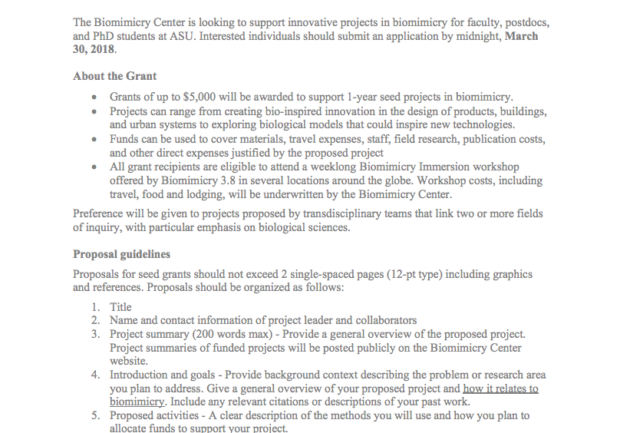 Preference will be given to projects proposed by transdisciplinary teams that link two or more fields. Submit your proposal by midnight on Friday, March 30, 2018 to Val Reyes at ovreyes@asu.edu. Questions about the application process? Contact Val Reyes at ovreyes@asu.edu.